Today we remember the bravery of all veterans. Not all patriots were officially enlisted so we also honor Nelson, Jeanette and those in the close circle of their lives who fought in their own way in WWII. 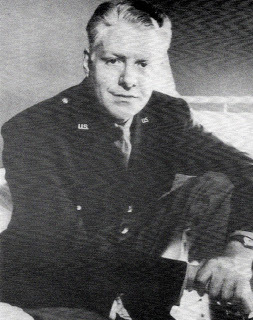 Nelson Eddy served bravely (if secretly) as an Allied spy under the guise of traveling overseas to sing for the soldiers. Now we know the details and that he was injured in the line of duty. While stateside, he also donated his time, salaries and efforts to singing on various war-related radio shows and benefits. 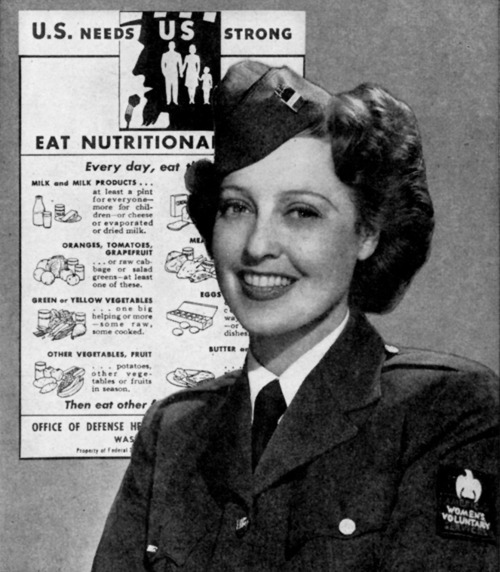 Jeanette MacDonald did not have medical clearance to entertain overseas during WWII. 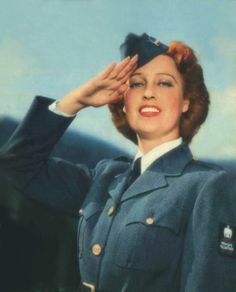 So remaining on the home front, she helped form the Hollywood Emergency Relief Fund, sang at the Hollywood Canteen, opened her home to visit with returning soldiers, donated her time and effort singing on the frequent war-related radio shows, and traveled the US on lengthy concert tours, breaking records and raising over $94,000 for the war effort by auctioning off her encores. In 2015 dollars that’s close to a million and a half dollars – just for her encores! For this she was honored by President Roosevelt. Nelson was never able to be publicly honored. 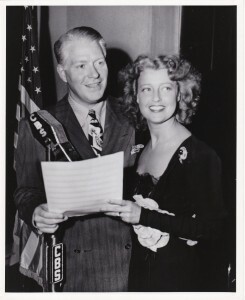 So I find irony in the fact that while Jeanette often acknowledged certain brave, injured or fallen soldiers in her radio shows or concerts – and always mentioned her husband Gene Raymond, she could never acknowledge the work of Nelson Eddy. Her love affair with him was secret as was knowledge of his war work. Gene Raymond was a decorated Army Air Force pilot, first serving in England and later in the US. After the war he remained in the reserves and finally retired as a Colonel after Jeanette died, in 1968. 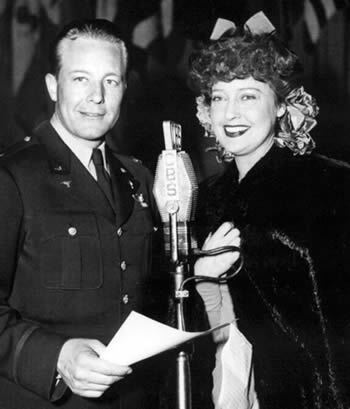 No matter how one views the problematic Jeanette-Gene marriage, Gene (and Jeanette) took pride in his military achievements – perhaps one of the only areas in which he wasn’t in direct competition with (and losing to) Nelson Eddy. 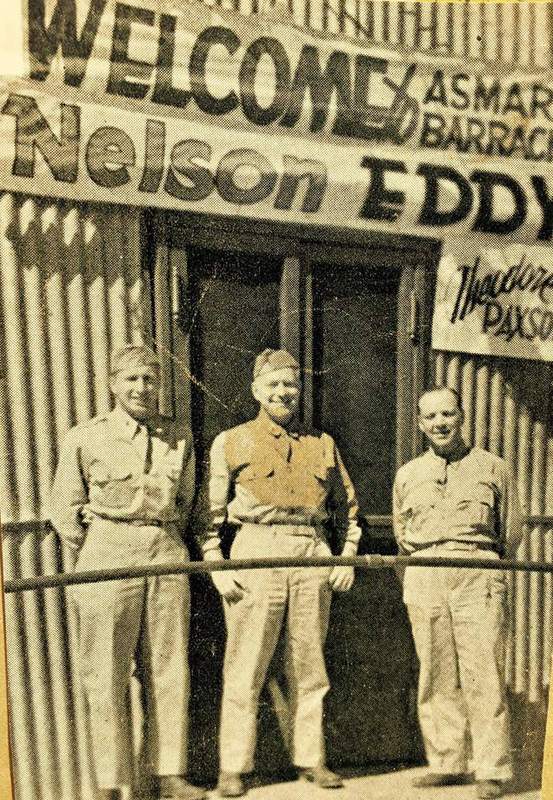 Theodore Paxson, Nelson’s longtime friend and accompanist, was at Nelson’s side during the war years whether concerts, radio shows, benefits, and on the dangerous overseas trip. Whether Ted’s life was ever put in danger is unknown but he was a married man with two children and it should not be forgotten that he also sacrificed his time and energies for the war effort. And finally we have Marine Major Woody Van Dyke II who sadly did not survive the war but his contribution was vital and unique nevertheless. By 1939 had turned his MGM office into a recruiting station, plus he urged his male stars to jump in and set an example in a climate where Hollywood was still covering its eyes and ears, trying to ignore what was happening overseas. 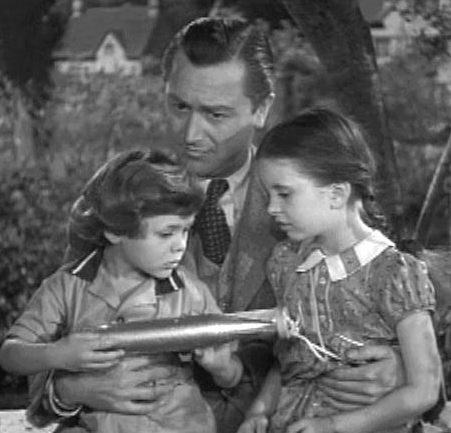 In his final film, Journey for Margaret (see below), he showed the tragic effect of war on children. OSS files are being opened…will we finally learn details about Nelson Eddy’s WWII spy work? At last – the many thousand of folks – many of them celebrities – that participated in spy work for the US government are finally to get their due. On August 14, 2008, the National Archives made public all the secret OSS files. We are waiting to see the entire list because it should have the name of Nelson Ackerman Eddy on it! WASHINGTON — Famed chef Julia Child shared a secret with Supreme Court Justice Arthur Goldberg and Chicago White Sox catcher Moe Berg at a time when the Nazis threatened the world. Among the more than 35,000 OSS personnel files are applications, commendations and handwritten notes identifying young recruits who, like Child, Goldberg and Berg, earned greater acclaim in other fields _ Arthur Schlesinger Jr., a historian and special assistant to President Kennedy; Sterling Hayden, a film and television actor whose work included a role in “The Godfather”; and Thomas Braden, an author whose “Eight Is Enough” book inspired the 1970s television series.